When purchasing plastic molds for candle making, there are a lot of factors to consider, including how long do plastic candle molds last? 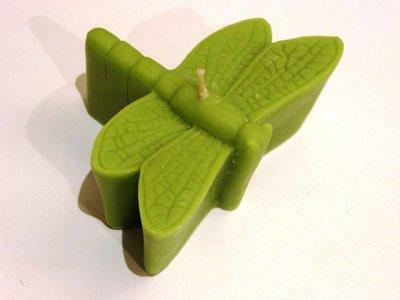 Plastic candle molds are great for making all types of candles, from votives to pillars and all kinds of neat shapes. Whether you're making candles as a hobby or as a business, supplies like molds are a big investment, and you want to make sure that you're getting good value for your money. Candle molds can be made from a variety of different materials, including plastic, metal, latex, rubber, and glass. Plastic molds are by far the most commonly used, and they are widely available for purchase. Using these molds will give your completed candle a nice, shiny finish. They're also great for layered candles, or any project that requires you to be able to see what's happening inside the mold. How Long Do Votive Candles Burn? In general, plastic candle molds are less expensive than those made from other materials, and they can be easier to work with because they're both solid enough to contain the hot wax, and flexible enough to manipulate gently to help release the finished candle from the mold. A basic plastic candle mold can last for many years. The keys to keeping your molds in great shape are to clean them carefully and follow instructions to the letter, especially regarding the temperature of the candle wax when you pour. The two main reasons a plastic mold will become damaged are scratches on the inside of the mold, and warping due to unusually high temperatures. 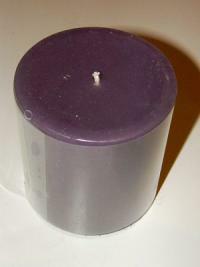 When cleaning a plastic candle mold, use hot, but not boiling, water, and a non-abrasive soap. Dish soap is perfectly fine for this use. If there are stubborn bits of wax left on the inside of the mold, soak it in hot water for an hour or so and then gently scrub the mold with a soft cloth to dislodge the wax. This can be repeated several times if necessary. Never use an abrasive cloth or scrubbing brush on the inside of your candle molds. When the molds are completely clean and dry, store them wrapped in a dishtowel or other soft fabric. Avoid stacking plastic molds, or storing other candle making supplies inside them. Even a small scratch or nick on the inside of a candle mold will affect the look of a finished candle. Plastic candle molds are susceptible to warping if your candle wax is too hot when pouring. Always follow recommended guidelines for the type of wax you're using, and use a thermometer to test the temperature of the melted wax before you pour. If you absolutely have to super-heat your wax to achieve a certain effect in the finished candle, place the plastic mold in a bowl partially filled with ice water before pouring. The risk of warping will still be present, but greatly reduced. Using boiling water to clean plastic molds can also cause warping. Avoid the dishwasher altogether, and only use hot tap water when cleaning your molds. While considering how long do plastic candle molds last, there are other factors involved in the life of these molds. Candle additives like scents, colors, and chemicals used to make candles harder or create other effects can affect the plastic molds. Keep an eye on scent and essential oils especially and only use the recommended amount per candle. Using too much scent oil can cause plastic molds to dry out and become brittle, and more susceptible to cracking and breakage. Overuse of these oils can also cause discoloration and pitting, which creates small holes in the plastic. When releasing a finished candle from a plastic mold, never use sharp objects to run around the rim of the candle. Be gentle and patient, and try to avoid squeezing the mold too hard or putting a lot of pressure on the sides to loosen the candle. Plastic candle molds are popular because they're easy to use, come in a wide variety of shapes and sizes for fancy candles, and are relatively inexpensive. With proper use and care, your plastic candle molds will last for years and years!